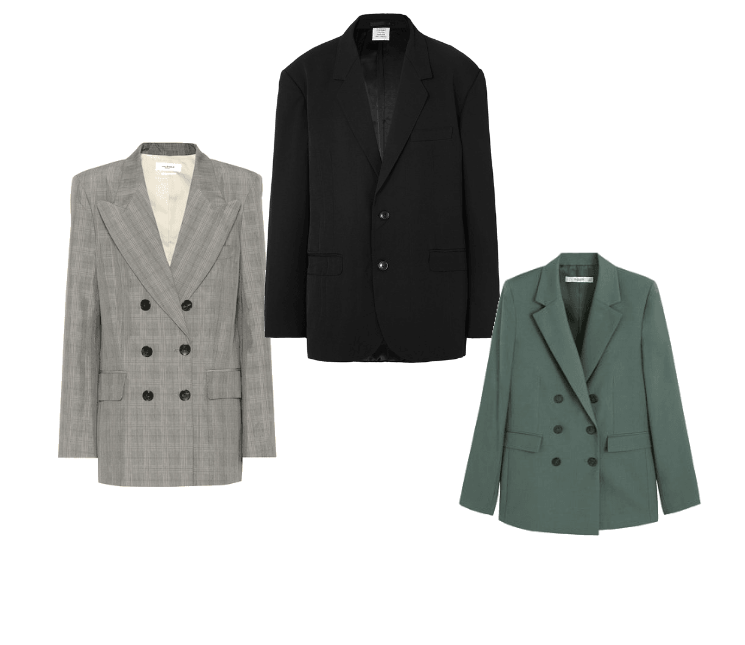 Every season is a blazer season. But it feels so good to finally abandon heavy layering in Spring. So why not celebrate this fact with a good, trendy piece? In today's story I brought together three most interesting and investment-worth, according to me, styles. So let's take a closer look at each of them. Checked - check pattern is among the hottest patterns now, especially when in comes top such formal, or semi-formal, pieces as blazers, pants and skirts. A checked blazer will go amazingly good with a simple pair of jeans or leather pants. Oversize - oversized blazers have been around for quite some time now. But this trend is still strong. Plus it makes you look more miniature. Note, if you can't find an oversized style in women's section, go 'steal' one from a men's one. Deep shade - here you can opt for different colours, starting with blue and green and finishing off with bordeaux. Just don't forget that the deeper the shade is the better.